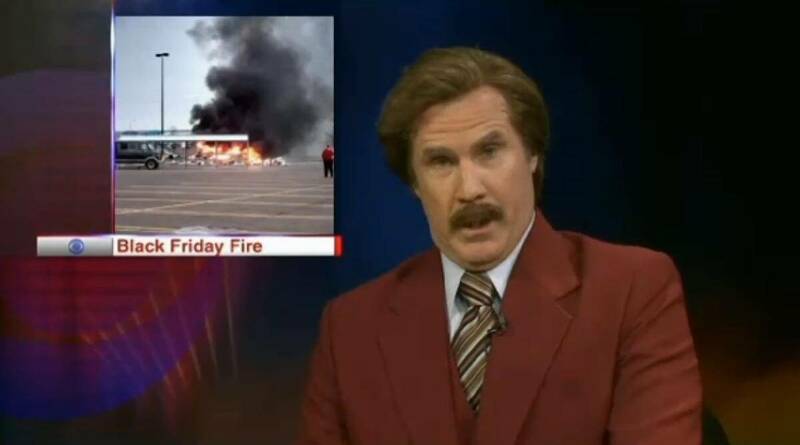 Promoting his new movie ” Anchorman 2 – the legend continues ” Will Ferrell or as we like to call him Ron Burgundy joined the north Dakota evening news team and as you can imagine it was absolutely awesome! He was deep completely in character and just started reading the news like he was doing this for years. 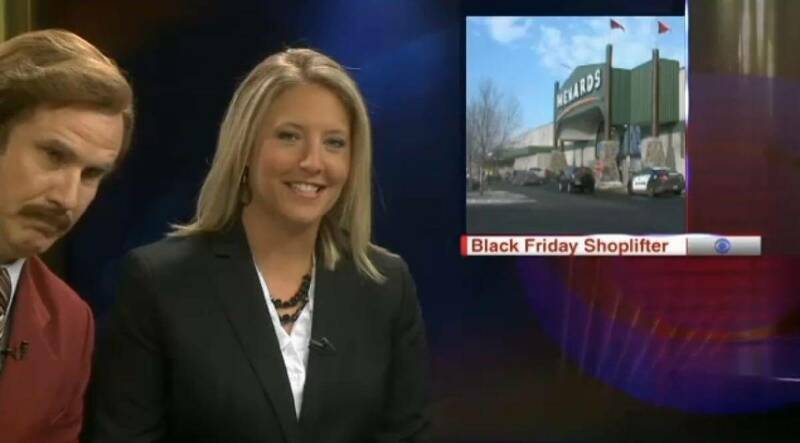 The actor, which is 46 didn’t even crack a small smile while reading, but the fellow newscasts ( the real ones ) couldn’t keep a straight face and pretty much laughed the entire time. 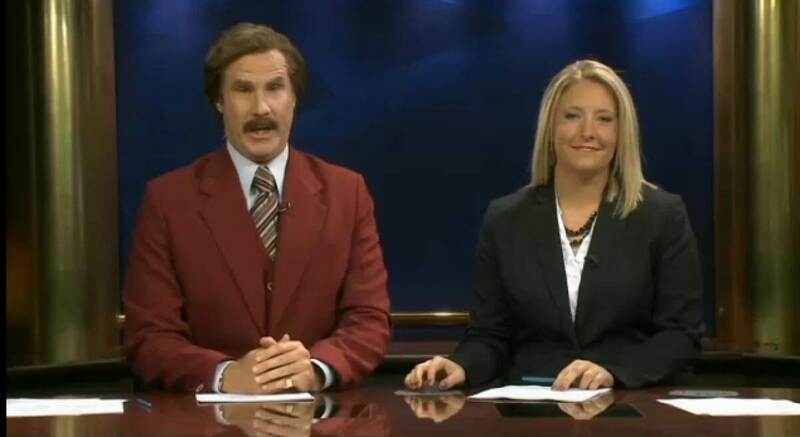 When Will said his signature line from the movies ” Good evening, I’m Ron Burgundy ” the entire cast just lost it and started laughing, this is what a great actor or comedian does, he gets everyone around him to react to his actions, turning the entire room into actors even if they don’t know or want to take part. If you haven’t watch the movies yet, you should, they are hilarious! 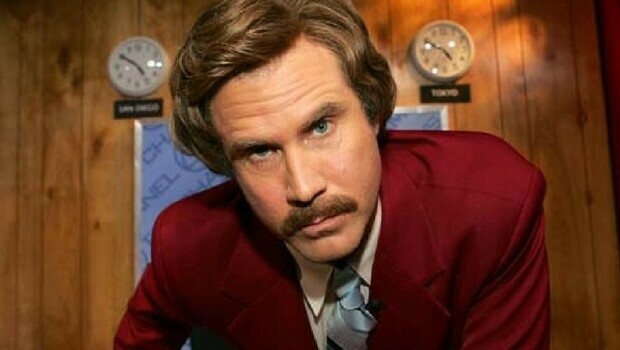 Ron Burgundy could be the most popular character Will Ferrell ever created, maybe only doing George W Bush was better, but you be the judge of that. 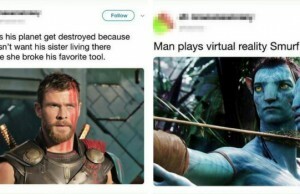 Just watch the movies and let us know in the comment section which is better.